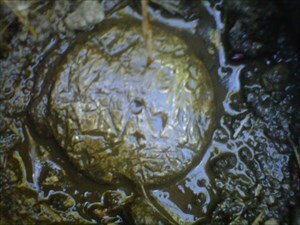 Note: The face is scarred up quite badly and it is approximately 30cm below grade. I just happened to be looking around the area for a cache to continue our consecutive caching streak, and noticed a virtual icon where it normally is not. Quickly went out for the find.